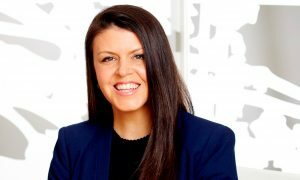 A total of 16.8 million Australians, or nine in 10 consumers, read news media in January 2017, the latest emma (Enhanced Media Metrics Australia) data released this week has shown. With a total 13.4 million readers, print continues to be the preferred platform for readers of news media, while 13 million people accessed news media via their smartphone, tablet, laptop or PC. Metro newspapers were read by 11.2 million people, or 61% of consumers, in the same period. 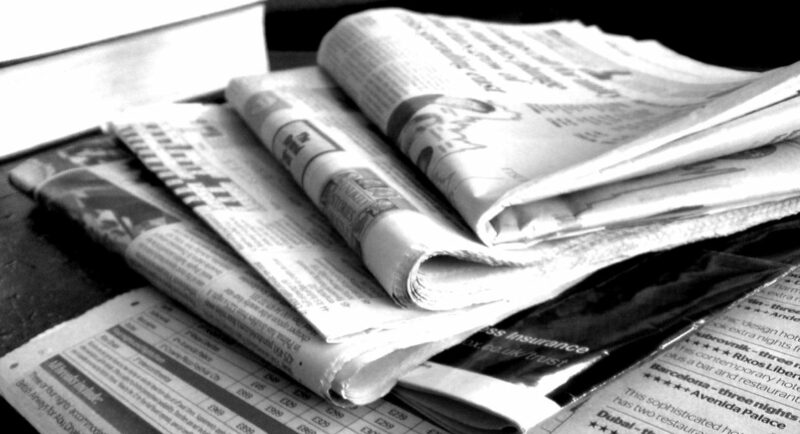 Demonstrating the important role of regional and community news brands to their local audiences, 7.1 million people (39%) read a regional or community newspaper. Regional newspapers were read by 3.2 million people (or 18% aged 14+), while community newspapers were read by 4.1 million (or 22% aged 14+). News media readers across platforms are also keen online shoppers, with 7.8 million (or 47%) shopping online in the last week. More than half of digital readers (52% or 6.7 million) and 45% of newspaper readers shopped online in the last week, compared to only 39% of non-readers. The emma data shows that news media gives online brands and retailers a powerful opportunity to connect with shoppers and build their businesses via news media. 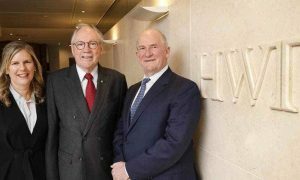 According to the emma data for the 12 months to January 2017, The Sydney Morning Herald is Australia’s highest-reaching title across all platforms with 5.4 million readers. 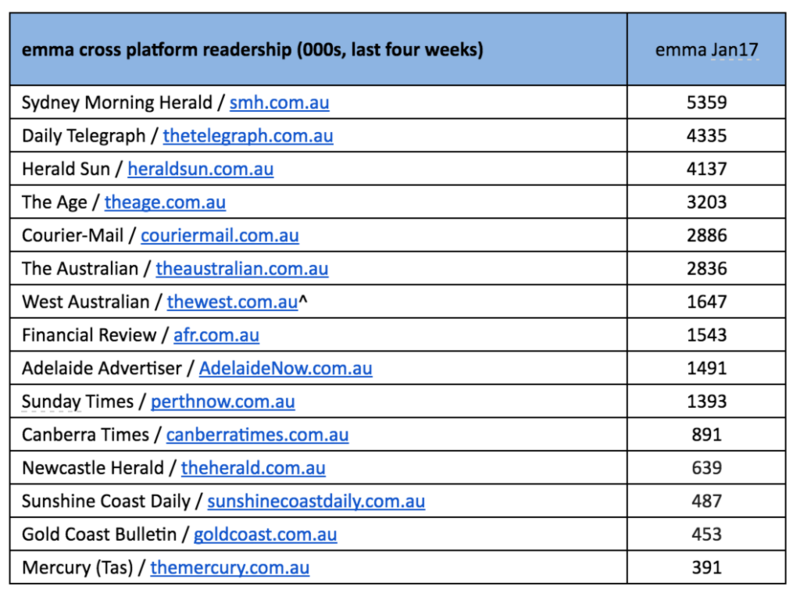 The Daily Telegraph followed, reaching 4.3 million readers and the Herald Sun on 4.1 million (see table below).